My journey to see Adele live in concert started last December. It was a bit of battle getting to the seats, but it was on life-changing night and well worth the fight. This was how close I was to Adele! The eyes in the background stayed closed and then when she rose up form the stage the opened. I had managed to get a pair of ticketless tickets to the show about a year before the actual event. The idea behind the ticketless tickets is that you use your credit card as your ticket to get in the event to prevent scalping. You can’t sell the tickets and you can’t transfer them to anyone else. Whoever purchases the tickets has to go to the event – you are required to show id with your credit card. It doesn’t sound terrible unless your credit card company cancels your card a month before the show because there was a hack and issues you a new card with a new number and instructs you to destroy the card you used to buy the tickets and you do it forgetting that it was your ticket to the concert because you bought the tickets a year ago. It’s a rather long story, but let’s just say it was lucky I had realized that had happened a month before the concert because it literally took the month to fight with Ticketmaster to get them to change the card number. Even when I went, I was only 90% sure it would work – I had gotten a cryptic email the night before from customer service that said I was all set except they referenced the wrong card information. Honestly, they must rig the machines not to work when you swipe just to get you nervous. If you ever are considering buying ticketless tickets, take it from me and just…don’t. Regardless of my troubles getting into the show, the night was absolutely spectacular. We got an email that said to arrive at 7:00 pm as Adele was going on promptly at 8:00 pm and there would be no opening act. 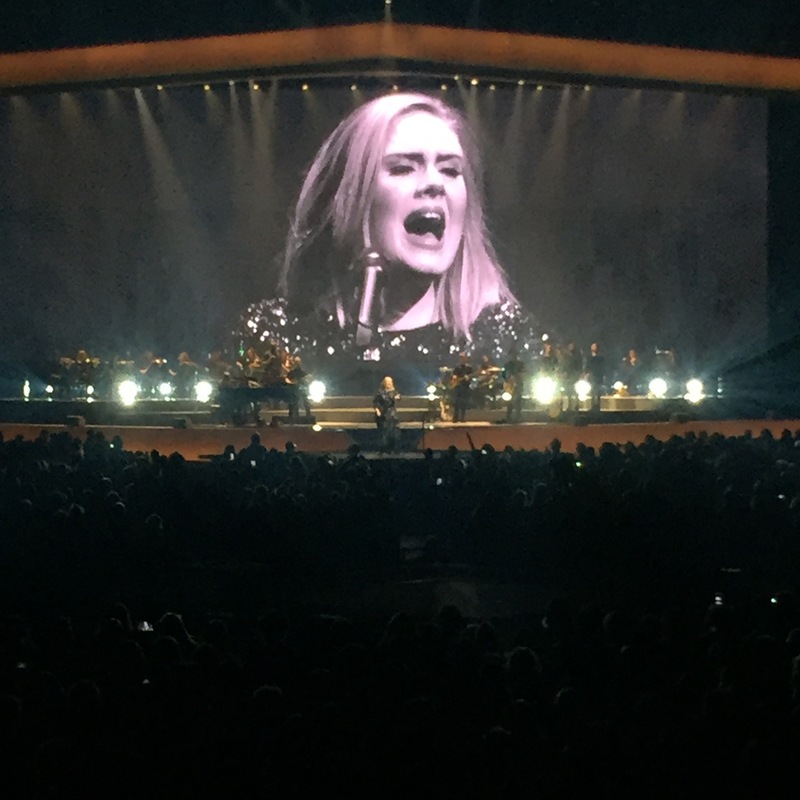 This was an evening with just us and Adele. About halfway through the song, she left the stage and walked through the crowd to the main stage up front to finish the song. She performed the majority of the show up there – including an acoustic set inspired by Alison Krauss – before returning back to the stage in the middle of arena to descend back down into the stage. Hearing Adele live is better than listening to her recordings, which is something hard to comprehend seeing how her records are so amazing already. Adele on the main stage. 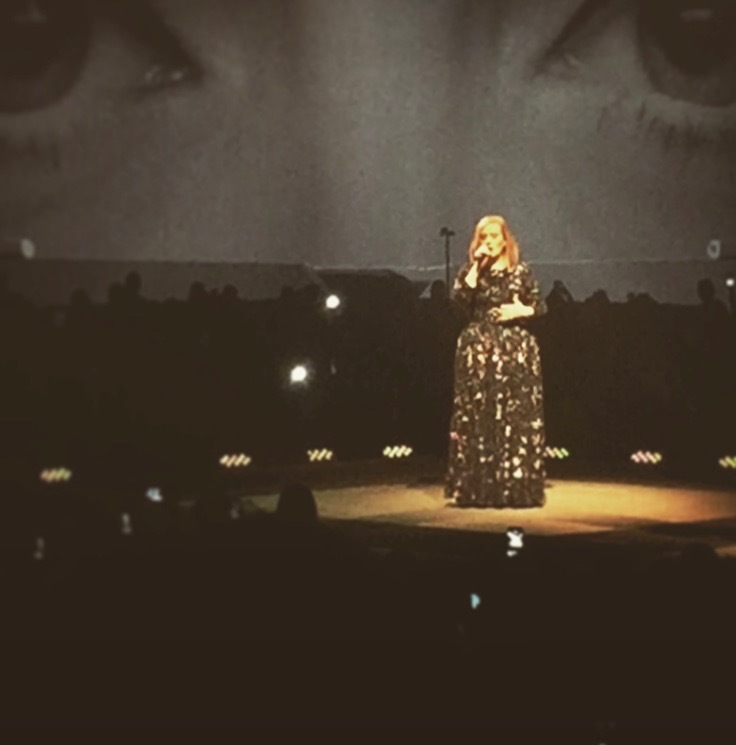 My evening with Adele was one of the best shows I’ve ever seen and best nights of my life. She is so incredibly talented and it’s an immense privilege to experience her music first hand. I was going about my business when I stumbled on this unreleased Adele song, “You’ll Never See Me Again.” And it’s totally epic. The drum beat and guitar/strings plus the way Adele sings the chorus is incredible. I don’t know how long it will stay on YouTube, but listen to it while you can! 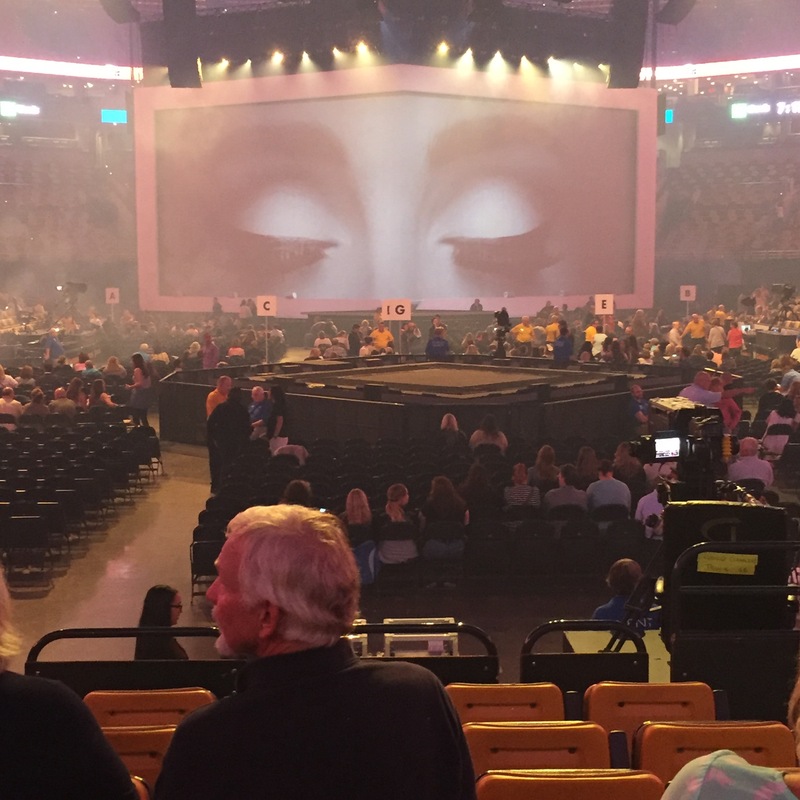 I was one of the lucky souls to get tickets to see Adele live in concert, and I can honestly say it was a life-changing experience. She’s so incredible that she’s actually better live than in her recordings, which is hard to fathom since her recordings are mind blowing. When we were not crying from the beauty of songs, we were crying from laughter from her talks between songs (she’s quite hilarious). I do indeed to write more about the concert, but I’m just rather busy at the moment (thus the lack of posts). So, more will come…eventually. I just have a paper due tonight for a class that I may or may not have started…#collegelife.